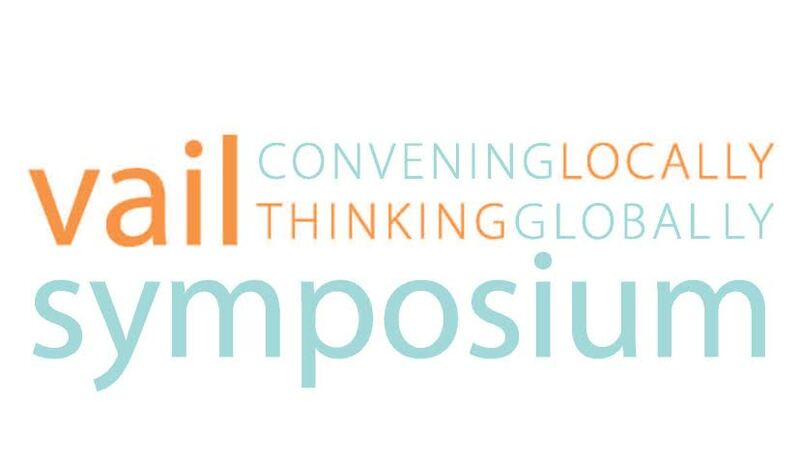 The Vail Symposium returns in the second half of its 44th year to provide a summer of rich and varied programs offering a unique form of lifelong learning offered nowhere else in the Vail Valley. Curators, best-selling authors, award-winning filmmakers, doctors, nutritionists, physiologists and consciousness experts – among others – will delight audiences with programs of adventure, geopolitical hot topic issues, nutrition, film screenings, alternative approaches to health and wellness, arts and culture, and more. Discussing modern pressing issues, the Hot Topics series presents three informational programs on three very different subjects including solar energy, genetic engineering and the U.S. Forest Service. John Jimison, managing director of the Energy Future Coalition and former senior council to the Energy and Commerce Committee of the U.S. House of Representatives; Heather Bailey, executive director of Energy Strategy and Electric Utility Development; Mark Simmons who has been involved in more than 520 solar projects including the Town of Breckenridge, Red Robin Restaurants and the Denver Botanic Gardens; and Laura Farris, the climate change coordinator for the EPA Region 8 in Denver will discuss Colorado’s solar energy capacity and what communities and individuals can do to embrace this very feasible technology. After 250,000 years of evolution, our species is on the verge of taking active control of our genetics. Jamie Metzl, who is a senior fellow for technology and national security for the Atlantic Council and who has formerly served on the U.S. National Security Council, State Department and Senate Foreign Relations Committee, will discuss the genetics revolution how it will be both the greatest opportunity of our era, but also the greatest challenge. Leslie Weldon is the appointed Deputy Chief for the National Forest System with the U.S. Forest Service and is oversees 193 million acres of forests and grasslands. Weldon will discuss the agency’s recent challenges and initiatives to preserve and restore the nationally treasured 155 national forests and 20 grasslands in the United States. She will also discuss the agency’s goals for local initiatives such as the restoration of the headwaters of the Eagle River at Camp Hale. This program is presented in partnership with Walking Mountains Science Center. Providing rare insight in to the making of major art exhibitions – whose brief stints in museums across the globe take years to create – Dr. Timothy J. Standring will take the audience deep in to the underbelly of the art world. He will reveal the demanding activities that underscore the inception, implementation and assembly of art exhibits talked about around the globe. Dr. Standring is the Gates Foundation Curator of Painting & Sculpture at the Denver Art Museum. His exhibitions include the popular “Becoming Van Gogh” exhibit. This program is sponsored by the Claggett/Rey Gallery. By popular demand, the Vail Symposium debuts a three-part film series presented in partnership with the Vail Film Festival this August. Each event will be hosted in the outdoor setting of the Little Beach Park in Minturn and feature a film screening hosted by the film’s producers and portions of the cast, as well as beer sales from Crazy Mountain Brewing Company. The film series is free, providing a wonderful, unique and relaxed evening activity. “We Are The Ones” is a documentary that follows three surgeons through a firestorm of tribal violence as they themselves fight to prevent illness and mend wounds in the country of Sudan. “This Isn’t Funny” is a hysterical, independently produced romantic comedy that takes and honest, sharply observed look at what it means to meet the right person at the wrong time and how love never seems to have the right timing. “All the Time in the World” is a documentary that follows two parents and their children, ages 10, 8 and 4, as they go off the grid to live in the raw Yukon Wilderness with no road access, no electricity, no running water and no clocks or watches. The film explores the theme of disconnecting from our hectic and technology-laden lives in order to reconnect with each other, ourselves and the natural environment. The fastest growing program series hosted during any season by the Vail Symposium is the Living At Your Peak Consciousness Series, which takes an alternative approach to health and wellness through programs and workshops. Leading the audience to be more in touch with inner guidance, best-selling author Anne Archer Butcher will explain how expanded consciousness can help overcome daily issues by putting them in to a more spiritual perspective. Bridging an “East meets West” approach to the energy of Well-being, Dr. Sue Morter will reveal the deep connection between learning to still your thinking, train the brain to liberate the heart, enlighten the mind and embody the spirit can reveal an ability to self-heal. Sharing a compilation of stories that investigate pre-birth communication and spiritual amnesia, authors Elizabeth and Neil Carman shed light on how the life of the Soul in the human body is only part of our experience and how this increased awareness can fill one’s life with gratitude, purpose and comfort. Each program will be followed by a workshop led by the speakers. The workshops are designed to provide a deeper education of the subject of consciousness through participation of activity. Spilling secrets of years of research in sports nutrition, Dr. Inigo San Millan, the Director of the Human Performance Laboratory at the Aschutz Health and Wellness Center; Benjamin Stone, founder of Sigma Human Performance; and Dr. Dennis Lipton from the Vail Valley Medical Center, will detail the profound effects of diet in not only our physical performance, but also our performance in daily activities. This program is presented in partnership with the Vail Vitality Center. On April 25, 2015, Dr. Jon Kedrowski was in the Everest Basecamp leading an expedition when a magnitude 7.8 earthquake struck Nepal, causing one of the deadliest days ever on the mountain, and mass destruction throughout the country. In this free program Dr. Kedrowski will offer the audience a firsthand account of the events that transpired on that day, the impact the destruction has had on the trekking area and the country and reparations are underway. The program is not a fundraiser, rather an opportunity to keep up-to-date with the ongoing relief efforts in Nepal. The Symposium will present more than 16 programs, including workshops, from June until September. 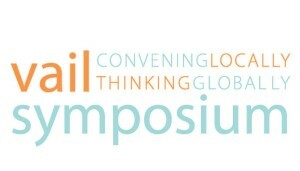 More program details and tickets are currently available at www.VailSymposium.org or by calling 970.476.0954.